Last week the Government announced its intention to hold another referendum in the autumn. The issues to be considered include changes in our patent law, in order to allow for the ratification of a new European-wide patent system; reform of the courts system, in order to establish a new court of appeal and a family court system; and abolition of the Seanad. It is this final issue which is expected to cause the most controversy. As fulfilment of an election promise, the question of abolition of an institution, which in recent years has come to be seen as inefficient, is to be brought before the people. In advance of any serious debate on the matter, current trends would suggest that such an amendment would be passed. However, it is strange that since the Government has seen fit to establish a Constitution Convention to consider issues of constitutional reform, this major issue has been excluded from the remit of the body. Rather than allow the Convention to consider the issue and make proposals, the decision has been taken to bring the matter directly to a referendum. Matters are further complicated by the recent movement calling for reform of the Seanad rather than abolition. In September last year, a group comprising Senator Feargal Quinn, Michael McDowell, Joe O’Toole, Noel Whelan and Senator Katherine Zappone published a consultation paper entitled “Radical Seanad Reform through Legislative Change”. The proposal suggests a number of reforms which could be made without recourse to a constitution referendum. Also, last week the Seanad debated (but did not vote on) Senator John Crown’s Seanad Electoral Reform Bill, which proposes dramatic reforms to the electoral process of the Seanad. 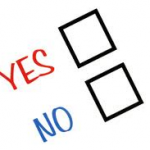 While it is likely such moves will be defeated, it raises the question of whether it is fair to propose Seanad abolition as a yes or no question in a referendum. Perhaps a preferendum would be a fairer method. Hogan then explains how a voter could give their preferences in numerical form and the result could be decided in the same manner as the single transferrable vote, by elimination of the option with the least support with the consequent transfer of votes to the remaining proposals. Of course, it would also be possible, particularly if only three choices were given, to allow voters to make only one choice and decide the issue on the basis of the highest number of votes. The report notes that while the preferendum would give the voter a wide range of choice, which currently is not possible, it could also cause problems in that voters might be confused by the range of voting options and also that it is not clear who would formulate the range of proposals or how they would be formulated. Ultimately, the report concluded that the referendum system has worked well and that (in 1996) there was no pressing need for change. However, it was advised that the issue be kept under review, “especially having regard to the potentially complex nature of future proposals to amend the Constitution”. It is clear that, if such a method had been used in the past, we might have seen vastly different results to those which were actually achieved. Such a system might even have achieved a different result in the recent referendum on Oireachtas Inquiries. 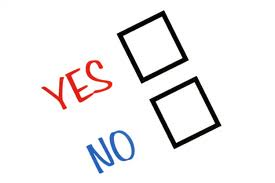 It seems that the question of Seanad abolition would be an ideal issue for the preferendum. It is clear that the public is unhappy with the current institution but once the debate begins and the possible consequences of abolition are made clear it may be questioned whether abolition is such a good idea. Thus, given the choice of retaining it, abolishing it or reforming it, it is quite possible that the public would prefer the latter. Of course, the only problem with this, particularly with implementing the model explained by Hogan above using the single transferable vote system, is that it would not come within the definition of a referendum currently provided in the Constitution and so an amendment would be necessary in order to allow for the preferendum. Perhaps we should have a referendum on the preferendum. This entry was posted in Referendum, Seanad. Bookmark the permalink.